Consider these two products your beauty lifeguards of summer beauty. They shall save your hair. They shall save your makeup. No more fuzzies near your hair line. No more makeup slowly sliding down from your eyes to the tops of your cheeks. Both of these products make my inner scientist go crazy, because I can not figure out how they work, but they work. If you told me that maybe it wasn’t even science, but magic that created these products, I’d probably believe you. 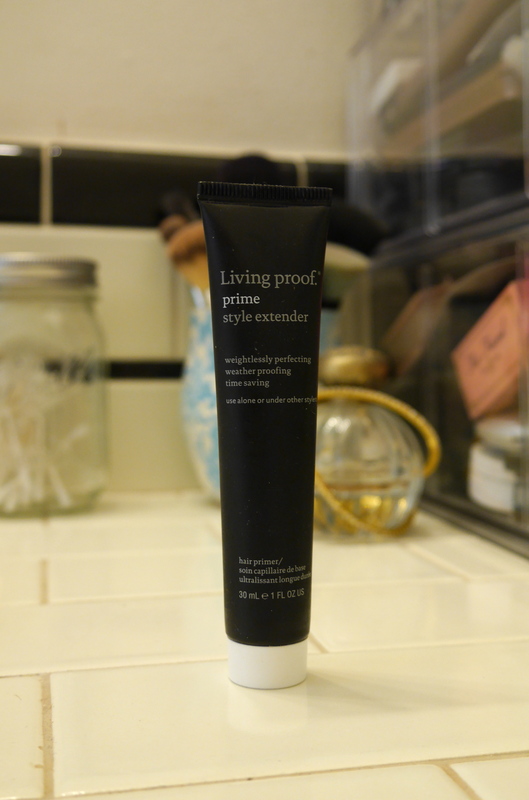 Prime works like like makeup primer, but for your hair. I put it in my hair after I get out of the shower, while my hair is still damp. I put it in before the Perfect Hair Day cream. Then it holds whatever style I do. Seriously. It helps straightened hair stay straight and helps curls last much longer. Also, it helps that all the hair at my roots doesn’t get frizzy. I work out 6 days a week and even on the hottest days, my hair doesn’t get frizzy. The other bonus is that this product is ultra lightweight. After it’s applied doesn’t have any texture or feel in your hair. It disappears into your hair. Great for everyone, but especially fine hair. The primer effect lasts until the next time you wash your hair. I use a pea size amount and spread it evenly from my roots to my ends. Urban Decay Setting Spray is my new favorite product. I do my full makeup, even put my lipstick on, and then spray. I covered my hairline with a towel, hold the spray a foot away from my face, then spray about six times, and fan my face with my hands to help it dry. Voila, your makeup will last through just about anything. I’ve come home from a 12-hour day, outside in 90 degrees and my makeup looks like pretty much the same as it did when I first left the house. Usually around my nose or hairline are the only spots where you can see that I was sweating for 12 hours straight like a spa day gone wrong. On shorter 5 to 6 hour days you can’t tell the difference between when I first do my makeup and when I get home. It looks exactly the same. I can use way less powder over my whole face, because the setting spray sets my foundation and concealer for me. Consider your summer hair and makeup saved! Thank you for reading! Feel free to share this on your Facebook wall and follow @girlgetglamorous on Instagram for daily makeup pics. Can’t wait to try these! I don’t know if I’ve ever commented before but I love your blog and watch all your tutorials. I use your technique of mixing the red Loreal shades to get my haircolor now after searching forever for the perfect strawberry blond in a box. Your tips are the best! Thank you so much! That’s so nice of you to say and I’m glad the L’Oreal color combo works for you too. It was a “lightbulb” moment for me and I’m happy to be able to share it. And these two products work so amazing, hope you like them too!